In this volume, we have carefully selected 92 images inspired by the ancient art form of henna tattoos, known as mehndi, for you to color. The art of mehndi entails applying a paste made from the crushed leaves of the henna plant directly to the skin. The paste is applied in decorative patterns, typically to the hands and feet. Although the illustrations are derived from a traditional art form, the intricate and organic nature of the patterns makes them ideal for anyone wanting to focus their mind, relax, and explore the interaction of color and space. 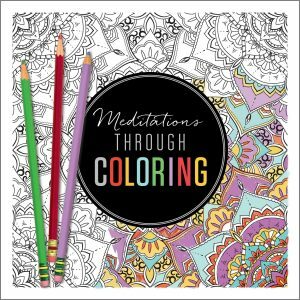 It is our hope that you enjoy these Medita- tions through Coloring and that they help you find your path to a calmer, healthier you. Love this! This was a hard choice but I think this one is more challenging for me.